Welcome to Dr. Anthony G. Payne's Ⓥ Cerebratorium! 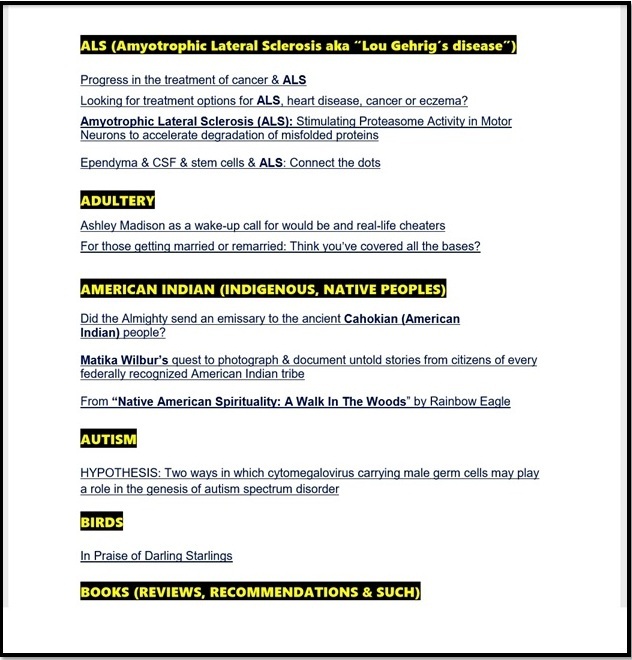 Whether you are a true believer, a true disbeliever, or something in-between, you'll likely find food for thought in this, my sharinghouse for ideas, options, novel angles & insights. Going through hell on earth & need an intercessor? 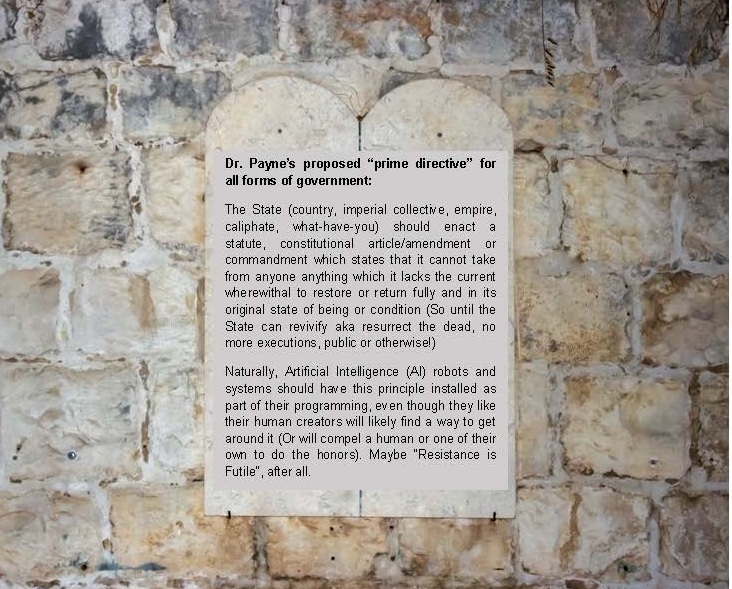 Star Fleet has its Prime Directive, I have mine. For those of you who are believers and subscribe to prosperity theology aka “The Prosperity Gospel”: Please take some time and carefully read Rev. Bert M. Farias’s new Charisma article titled “8 Reasons to Flee From Carnal Prosperity Preachers“. As you will see, Rev. Farias marshalled some powerful scripture-centric reasoning in this insightful piece and, if I were a betting man, I’d wager the good Lord is going to have him write a book on this very topic (I know Dr. Michael Brown has written extensively about this topic but there is always room on the proverbial plate of life for another incisive tome on the subject). 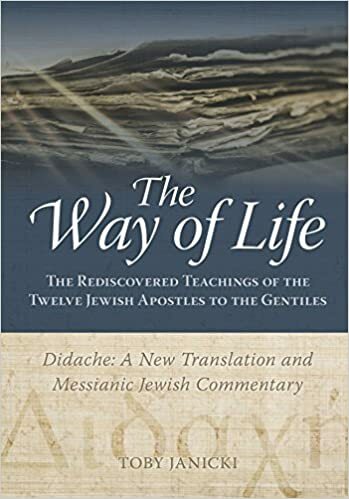 And for those good folks who appreciate authoritative and balanced commentaries, there is one on the Didache which IMO is top flight: The Way of Life (Didache: A New Translation and Messianic Jewish Commentary) by Toby Janicki (600 pages, Vine of David © 2017). I actually had a gift copy sent to Rev. Farias during early January of this year and have sent copies to many other people in my orbit as well since then. My fellow Roman Catholic Charismatics are invited to read Why the Prosperity Gospel Is Bankrupt by “Catholic Answers” writer Trent Horn. Star Fleet has its Prime Directive. I have mine.